Looking for a Xero Accountant in Port Macquarie? 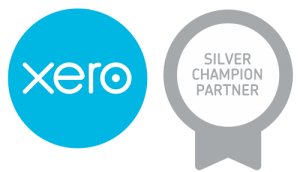 We are a certified Xero silver partner based in Port Macquarie. As experienced Xero Silver Partners based in Port Macquarie, we’ve seen the incredible difference that cloud software can make in small businesses. And while technology is great, it still needs to be driven by people who know what they’re doing. We help you to streamline your admin and accounting processes, and provide expert Xero support when you need it. If you’re looking for a Xero accountant based in Port Macquarie then we’ve got the technical skills and experience to help you get set up and to get the most out of Xero. Discover more about the online accounting software. Xero has changed the way we do accounting and we believe it is ahead of it’s time. Make sure your business doesn’t get left behind. As Xero specialists in Port Macquarie, we’ll assist in the setup and training of this easy to use, secure, online accounting system. We offer complete Xero set up for a new business including smart features such as automatic bank feeds, customised invoices, integrated payroll and bulk bill payments to creditors. For businesses currently using another system such as MYOB, you don’t have to worry about losing your existing data. We will convert your data into Xero and set up all the features you need, with minimal disruption. Contact us today to get your set up underway or view our set up packages. The set up of an accounting system is only part of the process. We show you how to use online accounting software effectively and help you to ensure your systems and processes are optimised to save you time. Your accounting system will work better when everyone in your business knows how to use it effectively. The SeaChange team can take are of upskilling your staff on how to use those parts of the system you give them access to. We can train you and your staff at our Port Macquarie office located in the heart of Port Macquarie CBD or we can provide training onsite at your business premises. Xero is simple and intuitive software, but it’s still easy to make silly mistakes. Whether you’re new to Xero or you have been using it for a while but you’re not quite sure if you’re doing things correctly, save yourself time and costly problems later by chatting to our Xero experts. We’ll make sure that your system is set up correctly and optimised to suit your requirements. The real power of Xero for your business lies in its ecosystem of software partners. These are called ‘add-ons’ because they integrate seamlessly with Xero, allowing information and data to flow between the programs as though it’s one platform – this means no more double-handling of data, no more re-keying information. Whether you’re in retail, in a service industry, or in a trade, there is an incredible selection of software tools available, depending on your business and your process requirements. The SeaChange team have seen these add-ons in action, and have a sound understanding of what could work for your business. If you’re looking to streamline your administration or business processes, chat to us about where the inefficiencies lie in your business, and we’ll provide recommendations on what’s right for you.